We all own a mobile phone, right? Let's face it in this day and age we're glued to them (I know I certainly am). 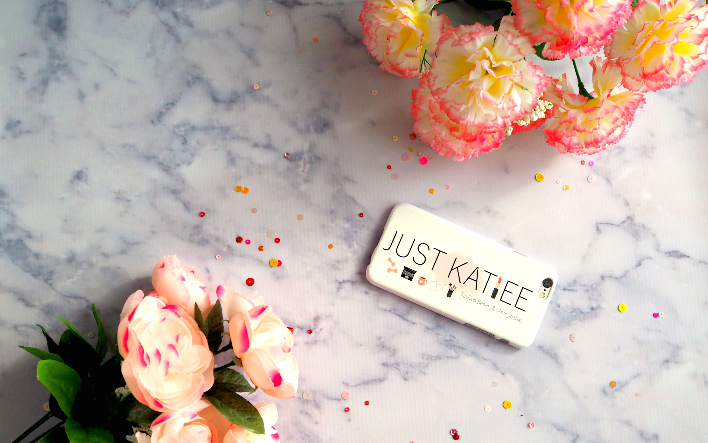 I use my phone every single day and I want to keep it protected at all times, but still look pretty too! I often find that the phone cases that are hard wearing are a little bit ugly, which results in a problem because I then opt for the pretty flimsy cases and my phone is still unprotected. I love getting new phone cases so when GoCustomized got in touch with me about a collab opportunity I was more than happy to oblige. I've been wanting a new phone case for a while now and with the opportunity to design my very own I was absolutely in my element. I debated for a good while on the type of phone case to try and what design to use but I am so happy with the final result. There are many different phone case options on the website; from ultra-light, leather or wood. You can also buy cases for your Ipad too. The website allows you to use their pre loaded designs or upload and create your own with the option to add text. I decided to replicate my blog header on a white ultra-light hard case which is £14.99. I wanted my phone to be protected but look pretty and match my blog too, and I definitely achieved that. 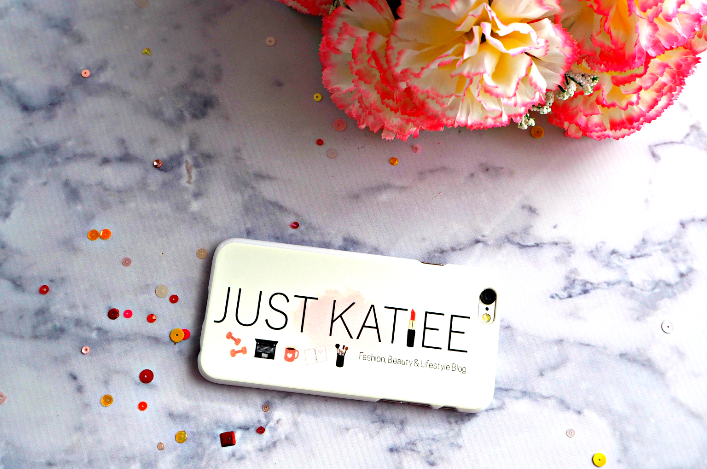 Their cases range from £13.99 to £39.99 and you can personalise all types of cases. The shipping was extremely fast and the customer service was great. I wasn't sure how the image was going to turn out because you can't really tell by looking on a screen but I was pleasantly surprised. I would highly recommend this site if you're looking at starting your Christmas shopping early or looking to get a gift for the tech lover in your family. It's a great gift for parents from the kids too as it gives them free range of the design and makes the whole experience personable. Overall, I'm really chuffed with my phone case, I have not taken it off my phone since receiving it and it's done a pretty good job of keeping it protected. I adore how its unique to me and that no one else will have a case like it. Let me know if you've ever tried a case from GoCustomized or if you'd be interested in trying it out. What design would you choose and why?